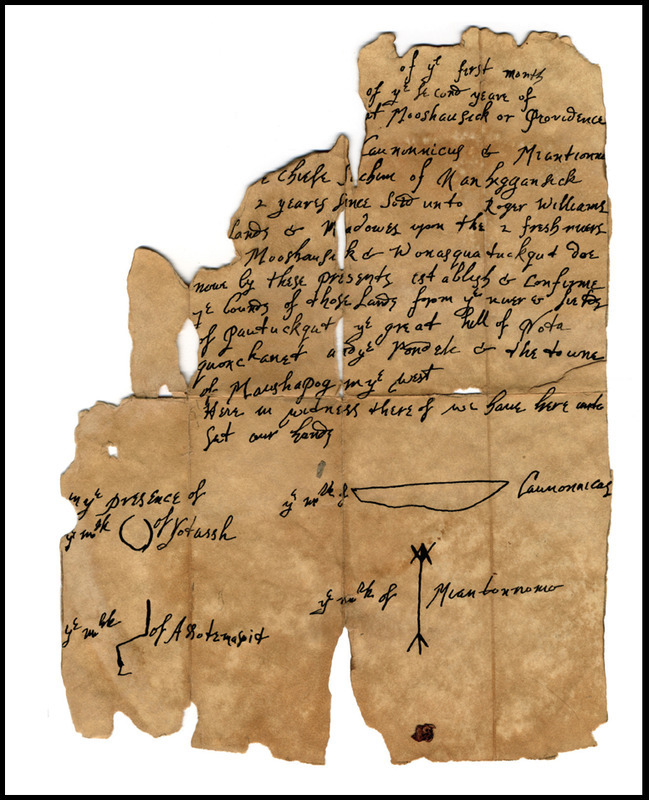 Native peoples had already lived on the land near Mashapaug Pond for many centuries when Roger Williams arrived in Providence in 1636. The pond’s very name comes from two Algonquin words: ‘massa’ and ‘pug’, meaning ‘large standing water’. In Pre-Contact time the pond provided local Narragansett, with a wealth of resources. Families built weetooash, or temporary dome-shaped homes, on the shores of the pond for summertime usage as they fished in the pond and gathered plants and herbs from its sandy banks. Nearby, gardens of squash, corn, melons, and sunflowers flourished. Along with daily lifeways such as hunting, fishing, gathering the Narragansett enjoyed the pond for community celebrations that included storytelling, dancing and drumming. By the 1960s, new development, such as the Huntington Expressway Industrial Park, again forced Native American families away from the pond. The Pond Street Baptist Church relocated, and the neighborhood of West Elmwood, where African American, Native American, and Euroamerican families had lived side by side, was bulldozed. Contamination of the local environment, through Gorham’s pollution and storm water runoff, also had a direct impact on Native American families’ ability to interact with the pond. Mashapaug Pond continues to be an important site of memory for the Indigenous community including the Narragansett, Wampanoag and other local tribes of the southern New England region. The Rhode Island Indian Council and the Tomaquag Indian Memorial Museum serve as important spaces for community life and cultural preservation keeping these memories alive through programs, exhibits, books and other cultural education opportunities. As such, memories of the community’s connections to Mashapaug Pond are preserved. The name of the pond, and nearby street names such as Niantic, Algonquin, and Narragansett, serve as testimony to the deep connections that Native Americans have to the region. In September of 1936, the editorial in Narragansett Dawn, a monthly publication by and for the Native American community of Rhode Island, ended with the statement: “Rhode Island Knows Now - THE NARRAGANSETT STILL EXISTS!” Although weetooash no longer dot the shores of pond and the lush gardens are gone from the vacant lots in West Elmwood, the Narragansett presence still exists near Mashapaug Pond as well. Why do you think people chose to live around Mashapaug Pond? Why do you think people today choose to live there? Imagine the area as an early indigenous settlement before Providence was founded in 1636. What images, sounds and smells come to mind? How did the establishment of the industrial park affect the indigenous community in ways different from others living around the pond? Why do you think this is? What are contemporary efforts by Native people living in Providence to preserve their culture? “Through Our Eyes” Collage: This collage, made by Dawn Dove as part of a collaborative project between artist Holly Ewald, the Tomaquag Indian Memorial Museum, and the Native American community, reflects on the Native American memory of the pond. 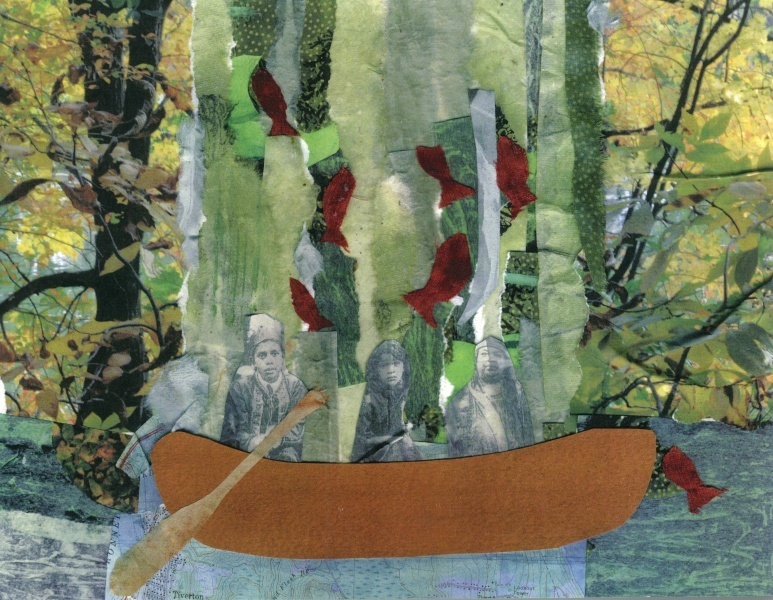 The collection of collages and writing by Indigenous people resulted in the book “Through Our Eyes”, immersing readers in Narragansett culture and inspiring them to think about the past and future of a healthy Mashapaug pond. ~ Source: Ewald, Holly, and Dawn Dove. Through Our Eyes, An Indigenous View of Mashapaug Pond. 2012. 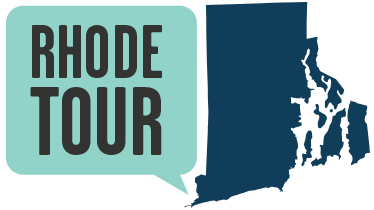 Lara Savenije, ““Rhode Island Knows Now - THE NARRAGANSETT STILL EXISTS!”,” Rhode Tour, accessed April 22, 2019, http://rhodetour.org/items/show/13. Dove, Dawn, and Holly Ewald. Through Our Eyes: An Indigenous View on Mashapaug Pond. Exeter, RI: Tomaquag Indian Memorial Museum, 2012. Narragansett Indian Tribe. “Historical Perspective of the Narragansett Indian Tribe.” http://www.narragansett-tribe.org/history.html#.UzsTd61dVwV.